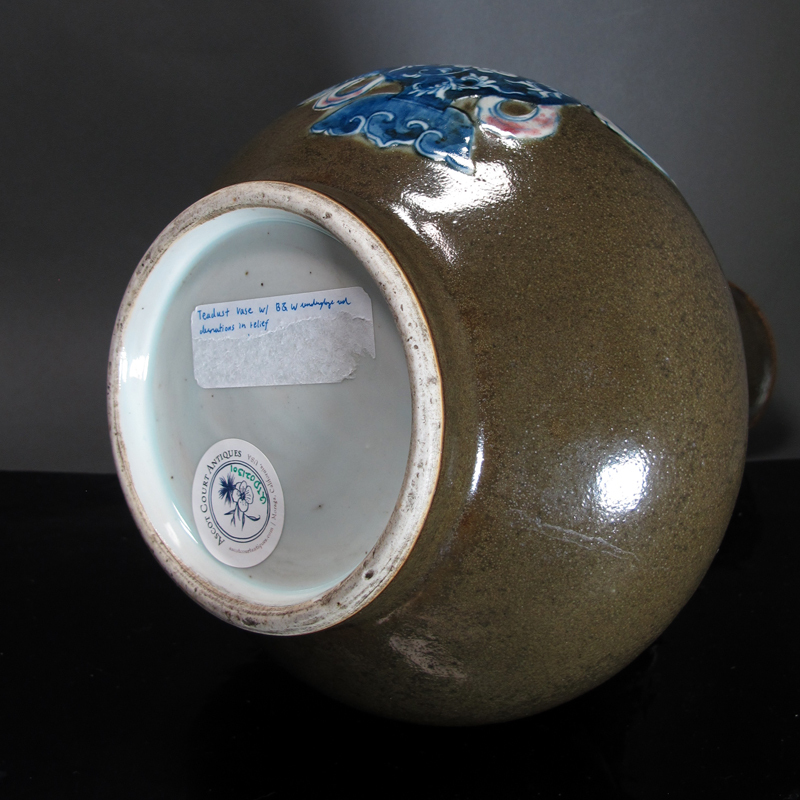 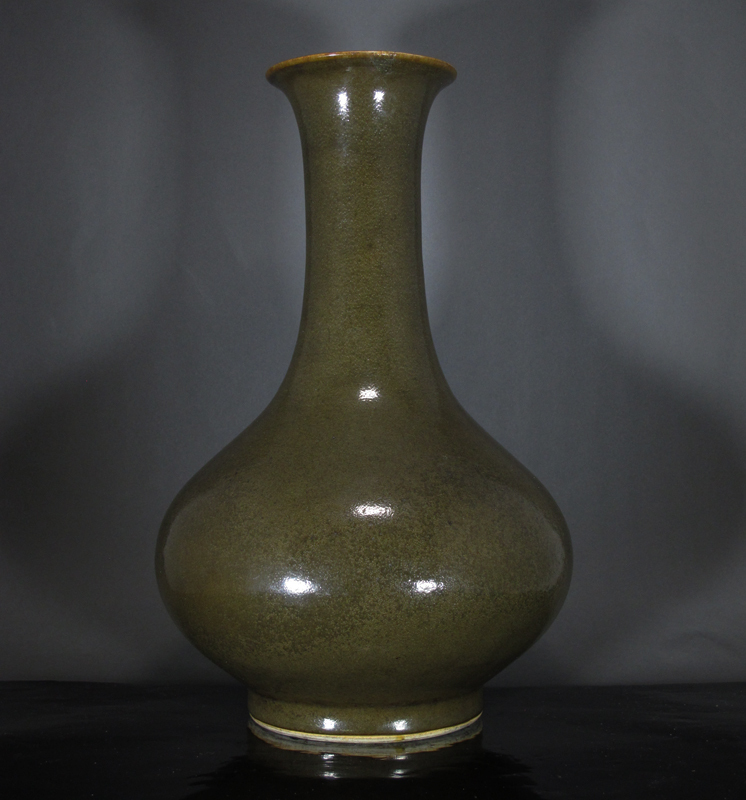 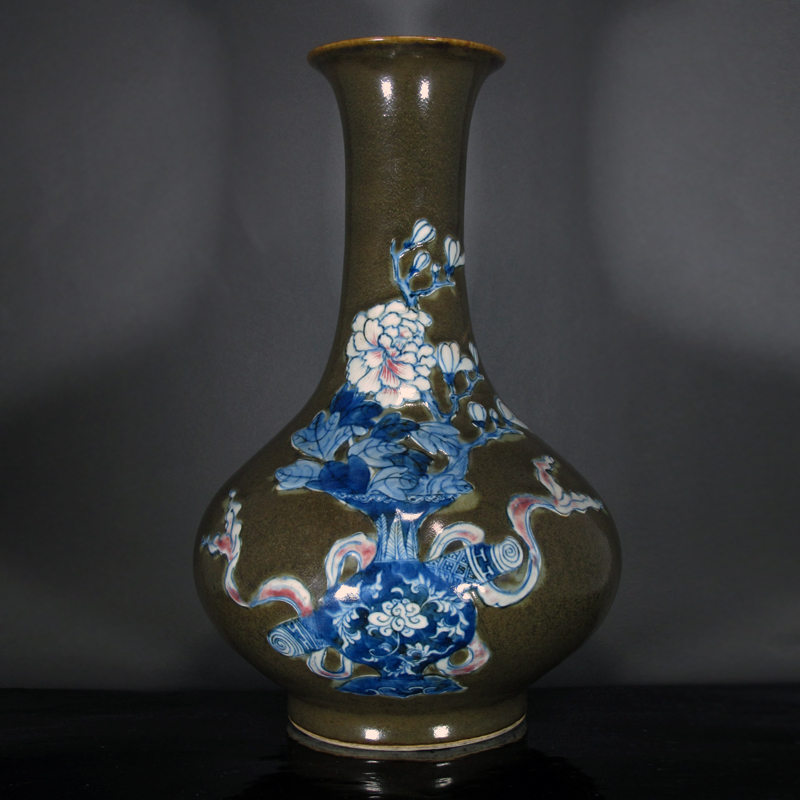 A late Qing teadust glaze vase decorated with a flower vase in blue and white as well as copper red. 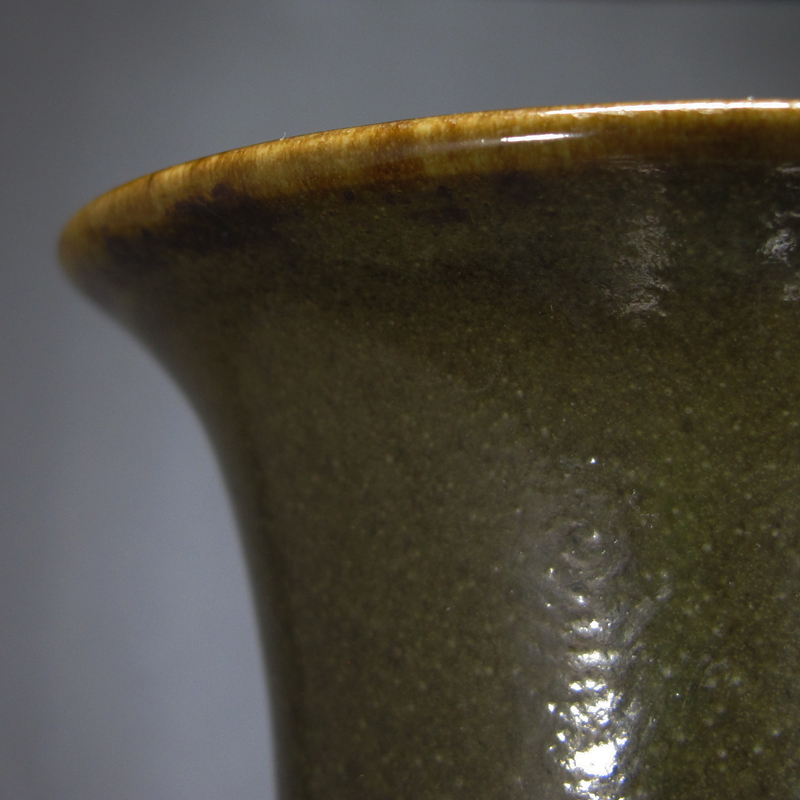 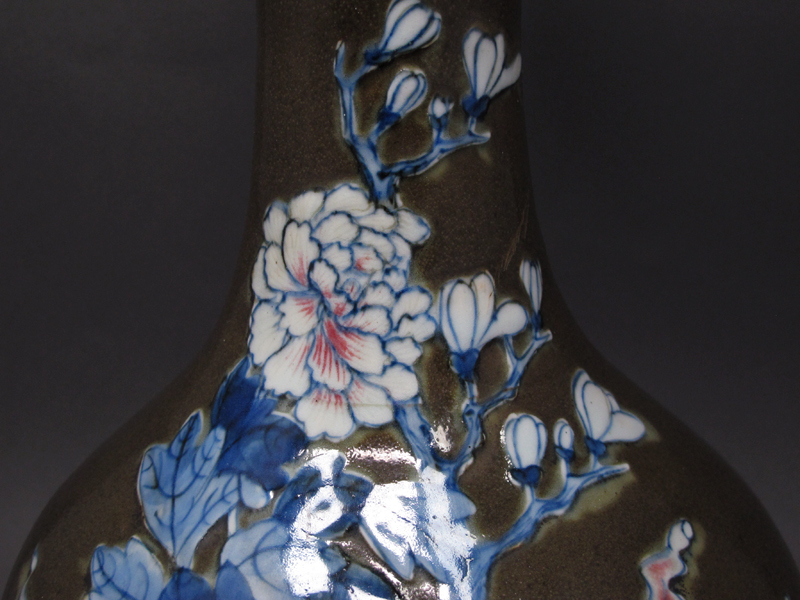 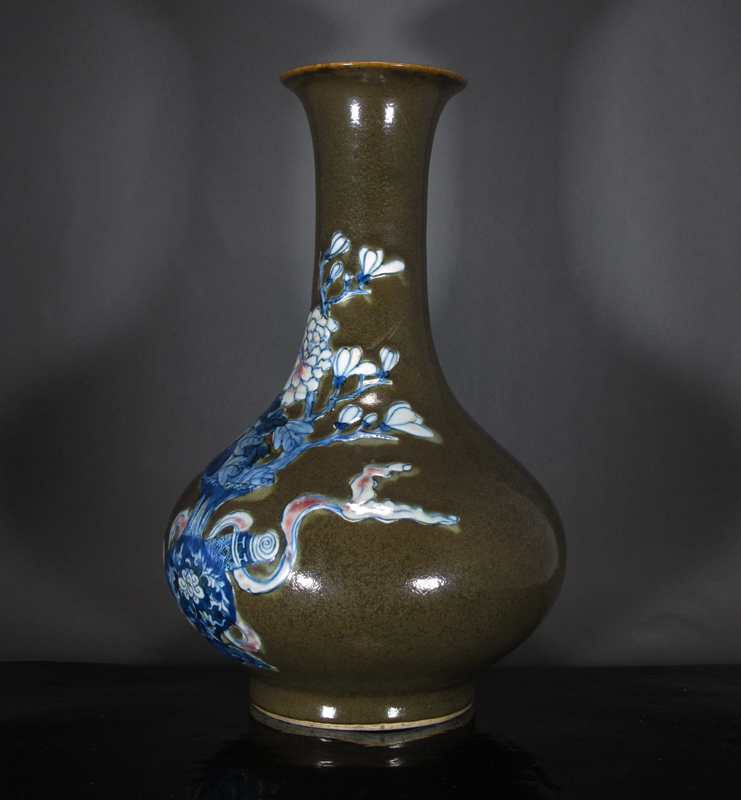 This piece is quite rare due to its technical sophistication: in manufacturing this vase, Jingdezhen potters would have had to fire it twice; first, to complete the raised appliqué decorations in underglaze blue and copper red (which had to be coated with a transparent glaze in order to be visible); next, to cover the rest of the vase in a teadust glaze in a second firing. 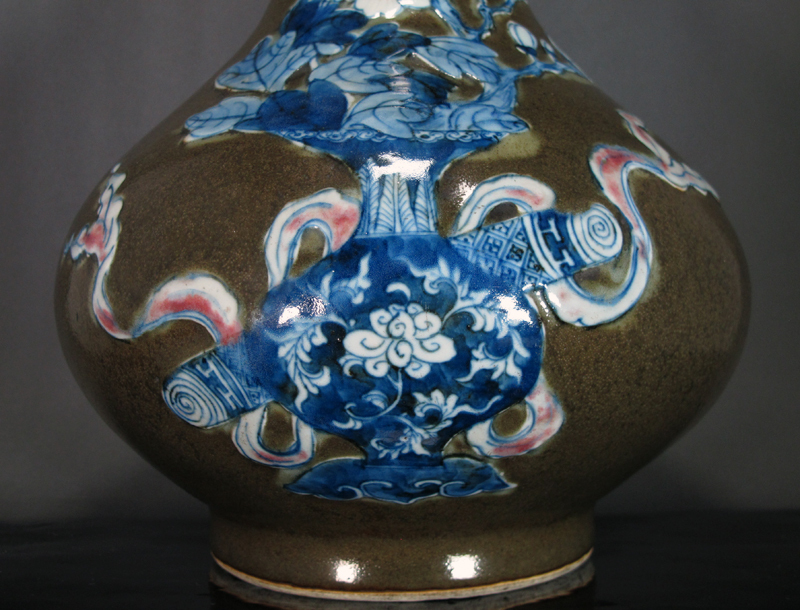 The finished product is striking due to the contrast between a teadust ground and the blue and white details.